It's no surprise many Americans don't get all the vitamins they need from food alone. In fact, the Environmental Working Group says over 40 percent of American adults get too little calcium, magnesium, and vitamins E, D, C and A. However, excessive vitamin intakes can also be problematic. Your doctor can help determine if you're deficient in any vitamins by asking you about symptoms and using blood tests. If you do have a vitamin deficiency, your doctor may suggest a specific vitamin supplement. It can be a good idea to take a multivitamin supplement as a way to prevent deficiencies as well. But the type of multivitamin you need depends on your age and gender. Many vitamin supplements specify on the label which population groups they are appropriate for -- whether it be children, pregnant women, older women, or men. You may be wondering if too much of a good thing can be problematic or have heard about vitamin toxicity. Because ingesting too many vitamins and minerals from supplements can cause unpleasant side effects and be dangerous, the Food and Nutrition Board established tolerable upper intake levels to help prevent toxicity. The links below provide tolerable upper intake levels for vitamins and minerals, which are the amounts you shouldn't exceed daily from supplements. The way vitamins are absorbed depends on whether they are water soluble or fat soluble. Fat soluble vitamins (vitamins A, D, E, and K) are absorbed better in the presence of dietary fat, notes MedlinePlus, and are stored in body fat. The other essential vitamins are water soluble, and aren't stored in the body as well as fat soluble vitamins. So be sure to get a daily dose of water-soluble vitamins to avoid deficiencies and avoid taking very high doses of fat-soluble vitamins to prevent toxicity. You don't necessarily have to take vitamin supplements if you're eating a well-balanced diet including plenty of protein foods, fruits, vegetables, whole grains, legumes, nuts, seeds, oils, and dairy foods (or vitamin-fortified, plant-based milks or yogurts). However, because many Americans aren't getting the nutrients they need from food alone, ask your doctor about taking a multivitamin supplement. This is especially important if your individualized vitamin and mineral needs are higher than the average adult, such as if you're pregnant, nursing, are older than age 50, poorly absorb nutrients, or follow a restrictive vegetarian or vegan diet. If you're deficient in specific vitamins or minerals, or your body doesn't properly absorb nutrients, your doctor may recommend vitamin injections. For example, some people don't make enough intrinsic factor (needed for proper vitamin B12 absorption) and require regular B12 injections. Your doctor can let you know if injections are a good fit for you. Are Multivitamins or Individual Vitamins Better? Generally speaking, taking multivitamin supplements is a good way to meet your body's daily nutrient needs conveniently. Plus, multivitamins provide vitamins and minerals in amounts that don't exceed tolerable upper intake levels. However, if you're deficient in certain nutrients, your doctor may recommend more targeted vitamin or mineral supplements to correct the deficiency. What About Vitamin Water and Energy Drinks? You can also get vitamins and minerals from Vitamin Water and other vitamin-fortified energy drinks. However, this is not a substitution for taking a multivitamin and eating a well-balanced diet, as not all essential vitamins and minerals are present (in recommended amounts) in these drinks. Additionally, many energy drinks contain added sugar, which can lead to unwanted weight gain when eaten in excess. Be sure to read the supplement facts label to make sure you're not exceeding tolerable upper intake levels for your age/gender group or getting too much sugar. Are you experiencing side effects related to nutrient deficiencies (like dizziness, shortness of breath, tingling sensations, fatigue, weakness, hair loss, dry skin, brittle nails, cramping, or a rash)? If so, would a blood test be beneficial? Are you pregnant, nursing, older than age 50, following a restricted diet, absorb nutrients poorly, or are a picky eater who would benefit from vitamin supplementation? Is a multivitamin or more targeted supplement right for you (or both)? Which specific supplement should you take? 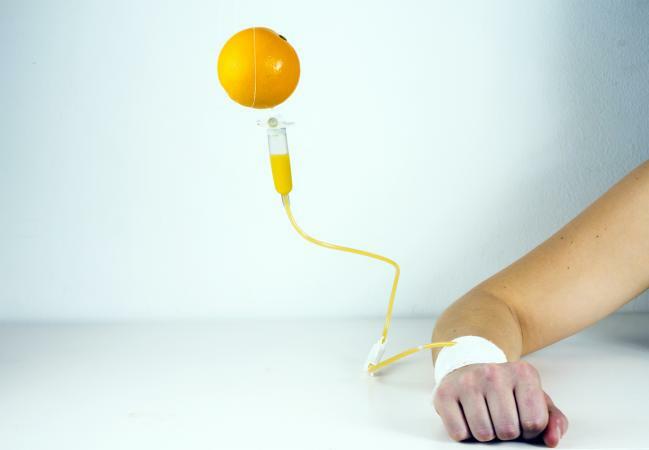 Will it interact with medications you're taking? 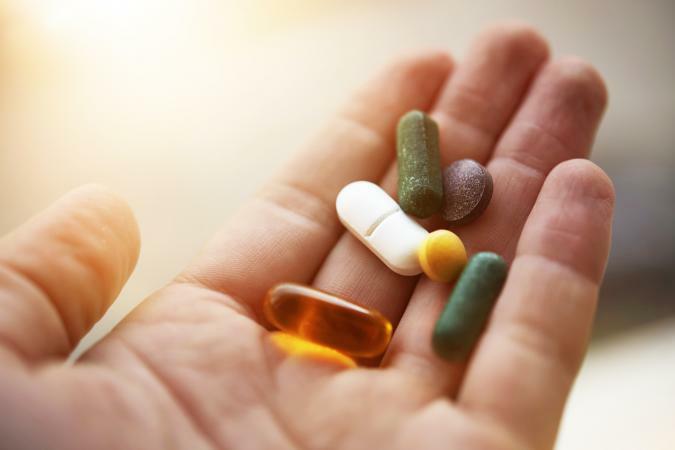 Always check with your doctor before taking vitamin supplements (a multivitamin is generally a good idea). Avoid taking iron-containing supplements on an empty stomach, as this can cause nausea. Check DRIs for your age and gender group to make sure multivitamins meet your individualized needs. Avoid taking high doses of vitamins and minerals (unless your doctor recommends it) that exceed tolerable upper intake levels. Ask your doctor if vitamin supplements interact with medications you're taking. Don't use vitamin supplements as a replacement for healthy eating plans. Avoid getting too much added sugar from vitamin-fortified energy drinks. Learn about factors that affect vitamin absorption. After learning more about proper use of vitamins, you should be ready to chat with your doctor about which supplement, if any, is right for you. Getting the right amount of, but not too much of, vitamins and minerals is a must when you want to look and feel your best.